The Willow pattern, more commonly known as Blue Willow, is a distinctive and elaborate pattern used on ceramic kitchen/housewares. The pattern was popular in 18th century England, e.g. porcelain designed by Thomas Minton around 1790 and has been in use for over 200 years. 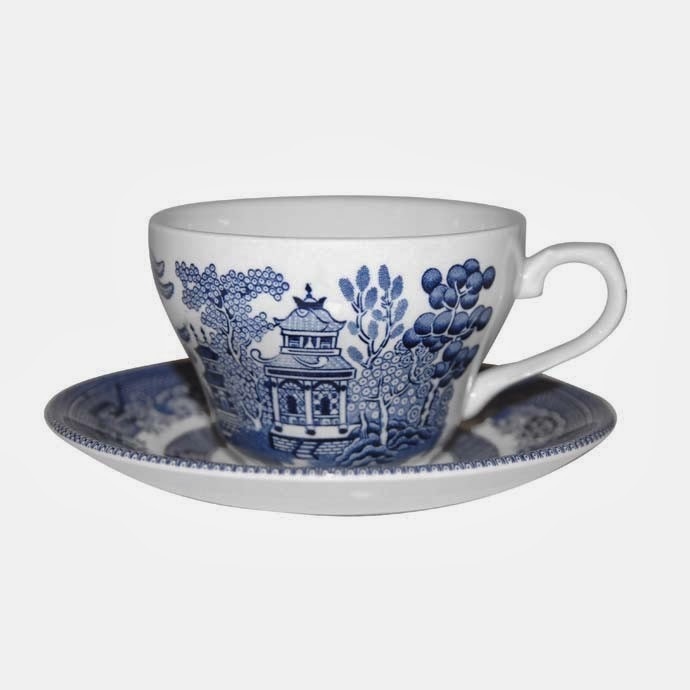 The design was inspired by the china England imported from China during the late 18th century. Other references give alternative origins, such as Thomas Turner of Caughley porcelain, with a design date of 1780. Willow refers to the pattern, a specific treatment, either applied transfer, or stamp, known as transferware. Background colour is always white, while foreground colour depends on the maker; blue the most common, followed by pink, green, and brown. Assortment, shape and dates of production vary.